Given the state of world hunger where more than 13% of our fellow human beings are hungry, i.e., nearly a billion people! The irony is that our world produces enough food to feed all 7 billion people who live in it. Some people do not have the access or money to buy food, access to land to grow on it, some are hungry due to droughts or famines and some due to man made causes of war and violence. The difference between hunger and malnutrition is that malnutrition means the body does not have the necessary nutrients necessary to grow or fight off disease while in the state of hunger, people have little or no food, never mind the nutrition aspect of it. Food is also being grown or sourced unethically (the recent highlight of fishing) or by polluting the environment, whether through pesticides or through genetic modification. Bees which work tirelessly, pollinating our plants and thereby helping to feed us, are being killed off through use of pesticides or through destruction of their habitats. By growing similar food year after year, not only are we reducing bio-diversity but also our own ability to digest different types of foods and our immune systems. I recently had the chance to taste another type of food- food that could be produced plentifully without harming the environment, is nutritious and has protein. This is insect food. 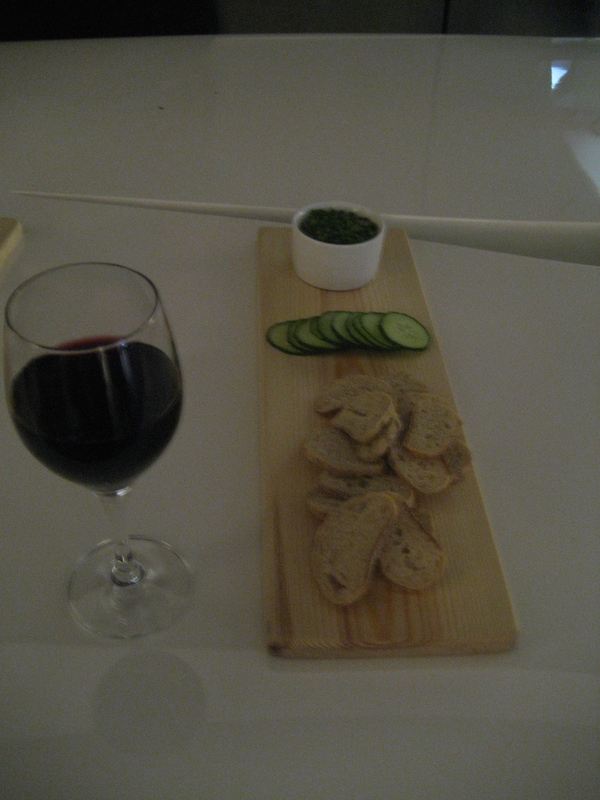 The photo above shows the insect pate I ate made from crickets. Now that may sound rather strange but the truth is that insect are the most abundant terrestrial life form excluding bacteria. Today, 80% of the world still eats over 1,600 species of insects, from Jing Leed in Thailand to Escamoles in Mexico to Casu Marzu in Italy. Even the prawns, lobsters etc that we eat are really a type of insects. Cricket protein is supposed to be 20 times more efficient as source of protein than cattle based protein and typically need 5 times less feed than animal protein and produce 80 times less methane than cattle. Insects are high in protein and low in saturated fats and sugars. They are a complete protein, containing all the essential amino acids, and have higher iron, calcium and B-vitamins content than beef. They are easy to raise and reproduce quickly, using minimal resources. Cricket flour is being used for produce energy bars. Having tasted the pate, I do not think it is any different than eating a prawn. The most difficult aspect of ending world poverty by eating differently is not about economics, imagination or distribution but a change in our mindsets. Categories: sustainability | Tags: beef, bees, cattle, change, cricket, difference, energy, environmental, flour, high energy, hunger, insect, methane, micro-nutrients, mindset, nutrition, pate, planet, sustainability, unethical, world, world hunger | Permalink.